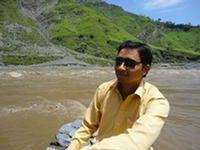 Summit Bayrasharya was nine years old when she became the Kumari Devi - The Living Goddess ". 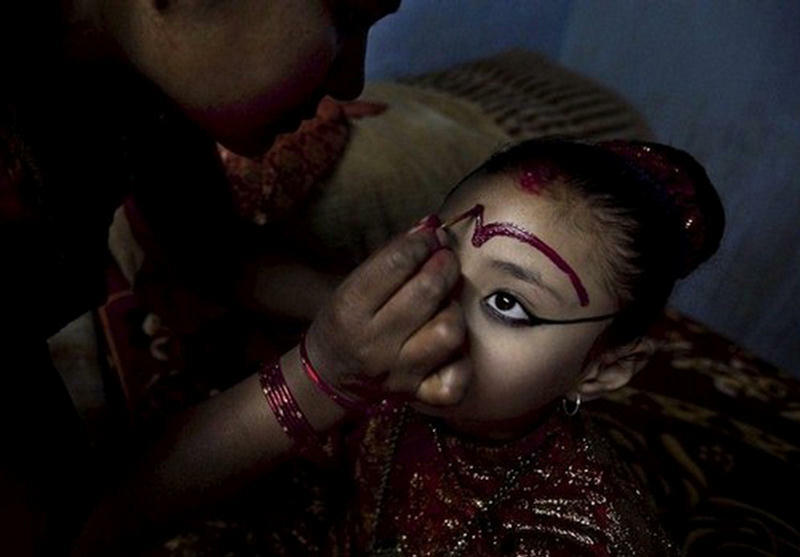 The word "Kumari" literally means the Nepali "Virgin." 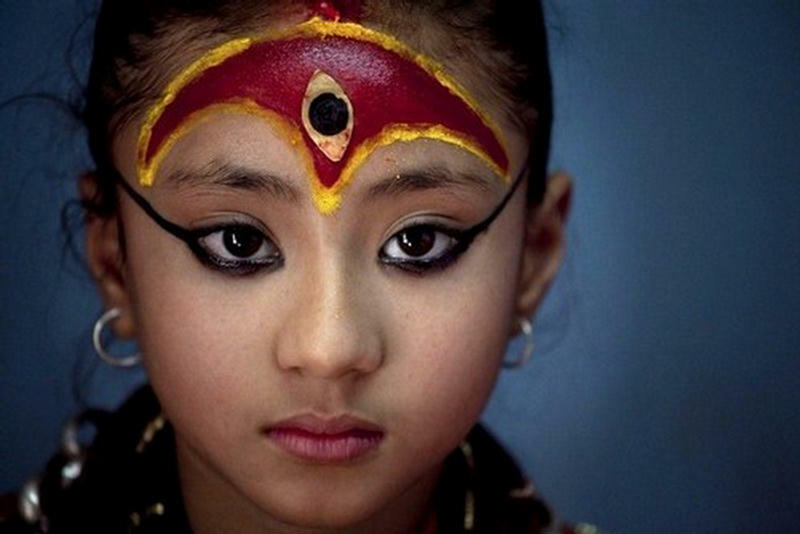 "Living goddesses" are not reached puberty very young girls who are the embodiment of the Hindu goddess of power, Kali. 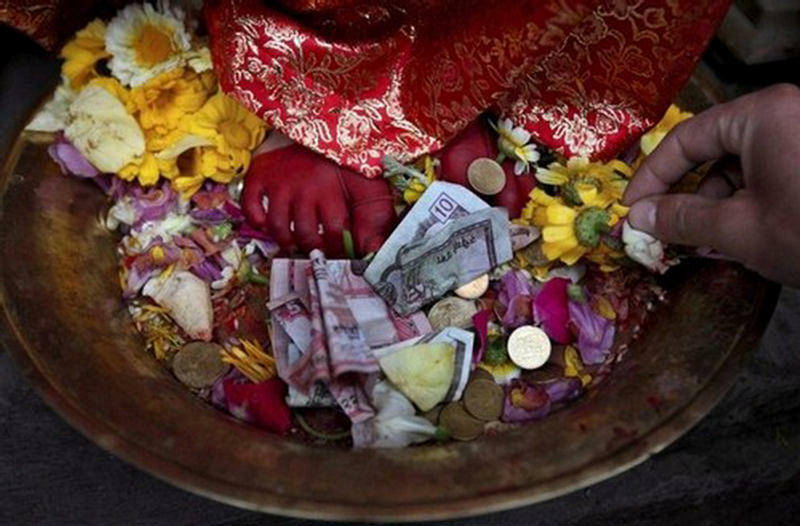 They worshiped in Nepal as a Hindu, and Buddhists. 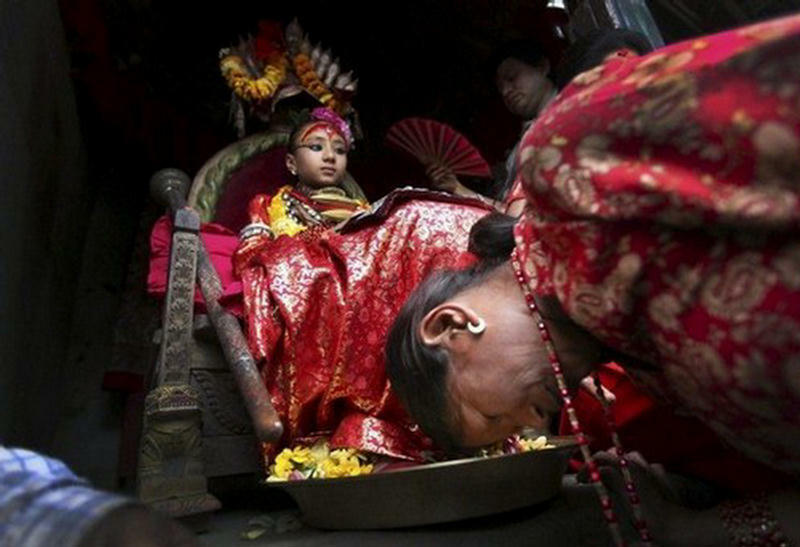 Summit has been appointed the new Kumari of Patan in the past year after its predecessor, Chanira Bayrasharya, which was sixteen years old, reached puberty, which means that it is now considered unclean.